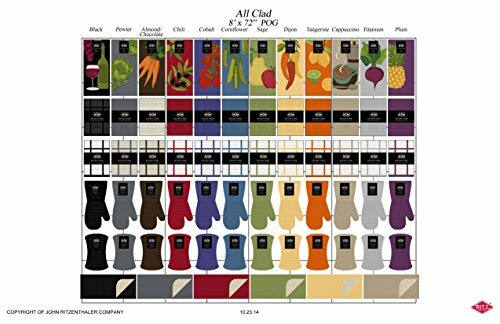 The All-Clad Premium Collection Non-Slip 100% Cotton Twill Oven Mitt. Made from durable 100% cotton with a strong anti-slip 100% silicone treatment, this oven mitt will protect you from extreme temperatures in the kitchen. Measuring 13-inches long, the textured silicone face provides solid non-slip grip while also adding an extra layer protection and durability. Added Protection. 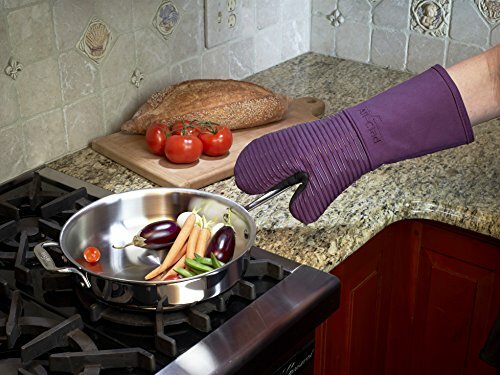 Protect your forearms when reaching into a hot oven or grill with this 13" long oven mitt. Right and Left Hand Compatible. 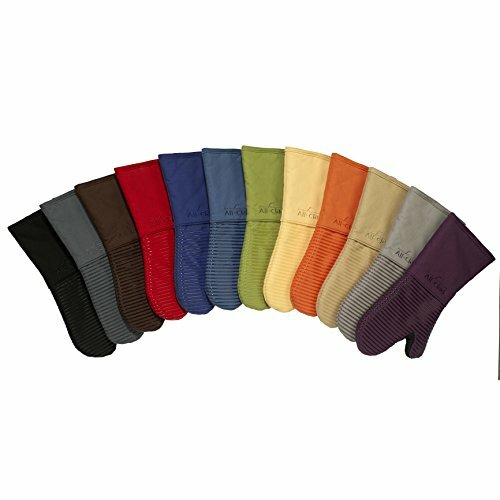 This oven mitt is constructed with a universal shape to fit both right and left hands comfortably. Non-Slip Grip. The textured non-slip silicone treatment helps to lock objects in place. 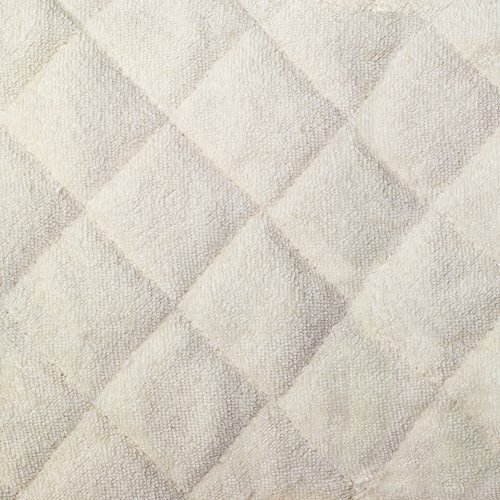 Quilted Lining. 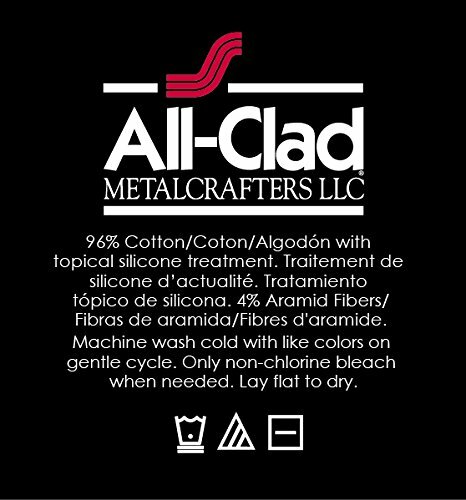 Added comfort and protection with this 100% Cotton Terry lining. 500°F Heat Threshold. 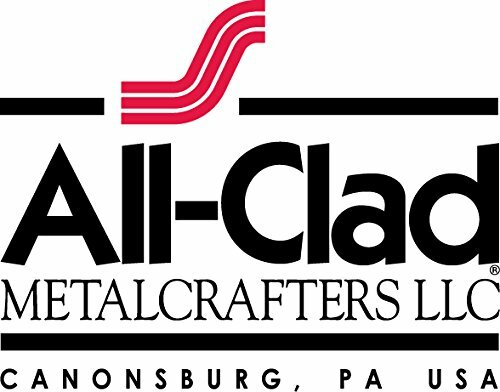 Extreme temperature protection from below freezing up to 500°F. FLAME AND STEAM RESISTANT. Measuring 13-inches (33 cm) long with a 100% cotton twill shell and 100% silicone treatment, this oven mitt features an extra steam resistant barrier and fire resistant fibers for added protection when reaching into a hot oven or grill. EXTREME TEMPERATURE RESISTANCE. The perfect tool while cooking or grilling, this oven mitt can withstand temperatures up to 500°F (260°C) to colder temperatures below freezing. Easy quick-access storage with hang loop featured on the front of the mitt. REINFORCED NON-SLIP SILICONE GRIP. 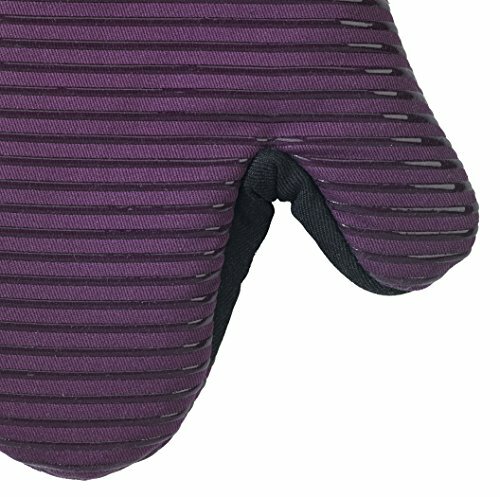 The textured silicone treatment on this glove oven mitt not only acts as an added layer of heat protection and durability, but it provides a secure, non-slip grip when handling hot or slippery objects in the kitchen. RIGHT AND LEFT HANDED MITT. 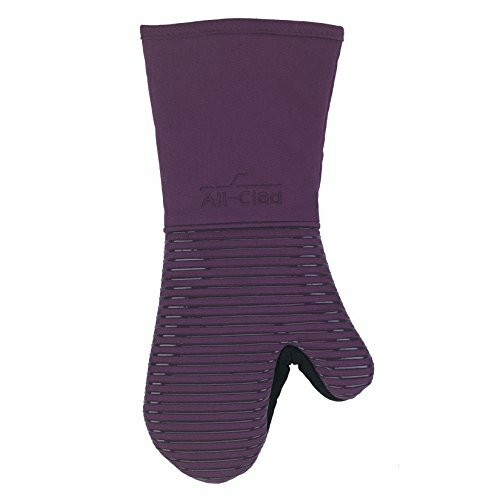 This oven glove can be used by both left and right handed users due to the all-around silicone treatment. Padded with a quilted cotton terry lining for an added layer of protection and comfort. ELEGANT COLOR COORDINATION. When it comes to color, we've got you covered. 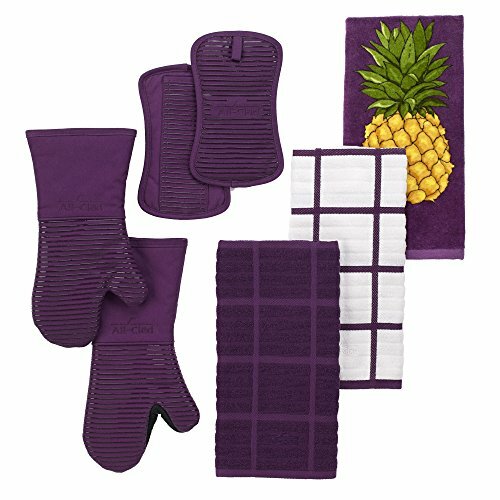 Coordinate this oven mitt with the rest of the All-Clad color collection of heat protection, kitchen towels, dish cloths, pot holders, oven mitts, and hot pads.